In England’s championship will be held during the week of the 41st matchday. The duel between Preston North End Football Club and Leeds United FC will take place at Deepdale Stadium on Tuesday night. With the 1-0 home defeat by Sheffield United on Saturday, Preston suffered a setback in the fight for participation in the play-off games for the rise. Six games left before the end of the season, PNE is five points off sixth place. 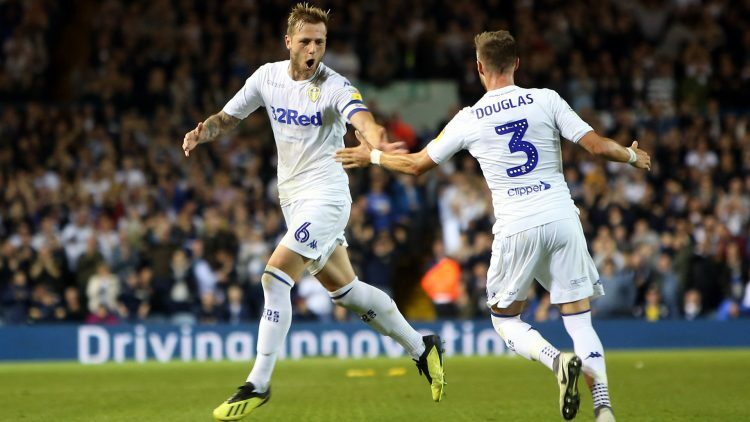 Leeds United, meanwhile, is still in the middle of the fight for promotion, but fell out of the top two of the table after the 0-1 defeat at Birmingham City on Saturday. The whites were overtaken by Sheffield United and are now one point behind the first direct promotion place. While league leaders Norwich seem to have almost guaranteed the first direct ticket to the Premier League with a lead of seven points, Leeds and Sheffield are likely to have a thrilling battle for the second direct ticket until the final matchday. Every point counts here. The bookmakers let in the duel Preston vs Leeds speak their odds for a victory of the guests. Quite clearly, the betting base does not see the signs and sets Preston Vs. Leeds instead tapped below 2.5 goals. Already on Saturday Preston had to go home against a promotion candidate. The Lilywhites played well against Sheffield United and were the better team in the first half hour. But after the lead for the guests, the Blades also took control and brought the victory over time. In the end, the home side had problems with the chances of exploiting chances. Preston North End is tenth in the table. The fans and the club can still be satisfied with the course of the season. After the tenth game, coach Alex Neil’s team was still in the league’s bottom of the league with just five points, but those in charge remained calm and continued to trust Neil. It followed 12 games with six wins and only one defeat. After a short intermediate low with only two points from five competitive games, PNE started the next series and remained unbeaten for twelve games in a row. This series finished the penultimate matchday with a 1: 2 win at Reading. The 0: 1 against Sheffield was the second defeat in a row. Lilywhites’ record this season is 15 wins, 12 draws and 13 defeats. 30 of their 57 points have been brought home by manager Neil’s men. With seven wins, nine draws and four failures, Preston is ranked 13th in the home table. Away from Preston, the club only scored 27 points, but eight wins, three draws and nine defeats in foreign countries mean the eighth place in the away table. With the 0: 1 against the Blades a series of six home games without defeat had come to an end. On the opponent’s place, the series before the bankruptcy in Reading was even more impressive – six away victories in a row. In the 2003/04 season, the Leeds United Football Club relegated from the Premier League. Since then, the peacocks fight with limited success for the return to the highest English football league. But as close as this season, the men from Yorkshire were no longer a return to the Premier League. From the second to the ninth matchday and from the 21st to the 29th match day, the LUFC even held the league standings. In 2019 things are not going so well for the team of coach Marcelo Bielsa. In this calendar year, the balance stands at eight wins, a draw and seven bankruptcies. The year 2018 had ended Leeds still with seven consecutive victories. After the 0-1 draw at Birmingham City on Saturday, whites even had to let Sheffield pass the table. As a third in the table, they would have to play the difficult playoff games, in which the teams fight for the last ticket for the climb in places three to six. After 40 games United’s record is 23 wins, seven draws and ten defeats. At home there have been 13 wins, three draws and four bankruptcies, making third place in the home table. With an average possession of 62.9 percent, the men of coach Bielsa are still ranked # 1 in the league. Even with the passes that you allow the opponent before you recapture the ball, the LUFC is league top. The use of Pablo Hernandez, who was injured from the field in Birmingham, is questionable against Preston. With twelve goals and eleven assists, the Spaniard is one of the key players in Leeds. At the duel Preston vs Leeds is having a hard time predicting the outcome of the game. Preston lost the last two games in a row. Leeds also conceded two defeats in the recent three games. The direct comparison speaks rather for the guests. But before the bankruptcy against Sheffield, PNE was unbeaten at home for a long time. Both sides must not allow themselves a defeat and therefore probably go more cautiously into play. United conceded only one goal in the last three games in foreign countries. Basically, there are not many goals in the Deepdale Stadium. In six of Preston’s most recent seven home games, there were not more than two goals. Thus, we also put Preston vs. the game. Leeds our tip on under 2.5 goals. Who in the duel Preston vs Leeds but looking for a prediction on the outcome of the game, it could try with a tip on the guests. Basically, Leeds United is certainly the stronger team and not coincidentally with the whole season for the rise.